For other uses, see Beyond Good and Evil (disambiguation). 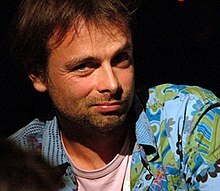 Michel Ancel, creator of the Rayman series, envisioned the game as the first part of a trilogy. The game was developed under the codename "Project BG&E" by 30 Ubisoft Pictures employees with production lasting more than three years. One of the main goals of the game is to create a meaningful story while giving players lots of freedom, though the game adopts a relatively linear structure. The game was received poorly when it was shown at E3 2002, and it prompted the developers to change some of the game's elements, including Jade's design. Ancel also attempted to streamline the game in order to make it more commercially appealing. Beyond Good & Evil was critically acclaimed. Critics praised the game's animation, setting, story, and design, but criticized its combat and technical issues. The game received a nomination for "Game of the Year" at the 2004 Game Developers Choice Awards. While the game had a cult following, it was considered a commercial failure at launch. A full HD re-mastered version of the game was released on Xbox Live Arcade in March 2011 and on PlayStation Network in June 2011. A prequel, Beyond Good and Evil 2, is in development and was announced at E3 2017. Jade attacking an enemy called Crochax and gaining credits from a previously defeated enemy. In the game's interior spaces, the player solves puzzles and makes their way past enemies in order to reach areas containing photographic evidence. Jade's main tools are her Daï-jo combat staff (a melee weapon), discs for attacking at range, and a camera. Jade's health, represented by hearts, decreases when hit by enemy attacks. It can be restored using fictional food items and can be increased beyond the maximum with "PA-1s" that, when held by Jade or her companions, increases their life gauge by one heart. If Jade's health is depleted, the game will restart at the last checkpoint. Certain stealth segments later in the game automatically kill Jade if she is detected. At times, it is only possible to advance in the game with the help of other characters. These characters are computer-controlled, and players direct them via contextual commands. For example, the player can order them to perform a "super attack", either pounding the ground to bounce enemies into the air, allowing the player to hit them from long distances, or knocking them off balance, making them vulnerable to attack. These allies possess a health bar and are incapacitated if it is depleted. Jade can share some of her items, such as PA-1s, with these characters. In addition to obtaining evidence and completing assignments, Jade's camera can take pictures of animal species in exchange for currency, and scan objects to reveal more information about the environment. When the "Gyrodisk Glove" is obtained, Jade can attack enemies or activate devices from a distance by using the camera interface. There are also various minigames and sub-missions offered by NPCs scattered throughout the world. A hovercraft is used to travel around the world, and also used for racing and in other minigames. Later, the spaceship Beluga is acquired. The hovercraft can dock with the spaceship. Both vehicles require upgrades in order to reach new areas and progress through the game. Upgrades are purchased using pearls that are collected throughout the game, by completing missions, exploring areas, filling in the animal directory or by trading credits for them. The vehicles have a boost ability, and can be repaired using a "Repair Pod" if damaged by enemies. Beyond Good & Evil takes place in the year 2435 on the mining planet of Hillys, located in a remote section of the galaxy. The architecture of the city around which the game takes place is rustic European in style. The world itself combines modern elements, such as email and credit cards, with those of science fiction and fantasy, such as spaceships and anthropomorphic animals coexisting with humans. As the game begins, Hillys is under siege by aliens called the "DomZ", who abduct beings and either drain their life force for power or implant them with spores to convert them into slaves. Prior to the opening of the game, a military dictatorship called the "Alpha Sections" has come to power on Hillys, promising to defend the populace. However, the Alpha Sections seem unable to stop the DomZ despite its public assurances. An underground resistance movement, the IRIS Network, fights the Alpha Sections, believing it to be in league with the DomZ. Beyond Good & Evil's main protagonist, Jade (voiced by Jodi Forrest), is a young photojournalist. She resides in an island lighthouse that doubles as a home for children orphaned by DomZ attacks. Pey'j (voiced by David Gasman), a boar-like creature, is Jade's uncle and guardian figure. Double H, a heavily built human IRIS operative, assists Jade during missions. He wears a military-issue suit of armor at all times. Secundo, an artificial intelligence built into Jade's storage unit, the "Synthetic-Atomic-Compressor" (SAC), offers advice and "digitizes" items. The main antagonists are the DomZ High Priest, who is the chief architect of the invasion, and Alpha Sections leader General Kehck, who uses propaganda to gain the Hillyans' trust, even as he abducts citizens to sustain the DomZ. Jade and Pey'j are taking care of the children of Hillys orphaned by the DomZ. When meditating with one of the orphans outside, a DomZ siren sounds. Jade rushes to turn the power on for the shield. She discovers she has run out of credits to pay for the shield. The lighthouse is left vulnerable to the meteor shower. One of the Domz meteors crashes outside of the lighthouse. The DomZ monsters catches each of the children into their bodies. Jade is forced to fight these creatures to free the children. Jade then looks down into the hole left by meteor and is captured by a DomZ Monster. Jade is rescued by Pey'j and they work together to defeat the monster. The Alpha Sections arrive just after Jade defeats the monster. Secunda finds a photography job for Jade, so that she can pay to turn the power back on for the shield. The job involves cataloging all the species on Hillys for a science museum. Jade is then contacted by a "man in black" to investigate and take pictures of a creature presumed to be DomZ twins in an abandoned mine on an abandoned island. The DomZ twins turns out the be antennae of a very large DomZ monster. Once defeated the "man in black" takes off his suit and a taxi car flies out of the black limousine. The man reveals he actually works for IRIS network. She is recruited by the IRIS Network, which suspects that the Alpha Sections are behind planet-wide disappearances. Jade's first target of investigation is an Alpha Sections-run ration factory. She discovers evidence of human trafficking orchestrated by the DomZ under the Alpha Sections' authority. Along the way she rescues Double H, who was kidnapped and tortured by the DomZ. Pey'j is abducted by the DomZ and taken to an abandoned slaughterhouse where he and the other kidnapped victims are to be taken to a base on Hillys' moon, Selene. After failing to extract Pey'j from the slaughterhouse in time, Jade learns that he was, in fact, the secret chief of the IRIS Network. Jade learns that the Alpha Sections are being possessed and manipulated by the DomZ. Using Beluga, the ship Pey'j used to travel to Hillys, Jade and Double H go to the DomZ lunar base. There, Jade finds Pey'j dead after weeks of torture, but a strange power inside her brings back his soul, reviving him. After rescuing Pey'j, destroying Kehck's command ship, transmitting her final report, and sparking a revolution, Jade confronts the DomZ High Priest. She learns that her human form is the latest container to hide a power stolen from the DomZ centuries ago in the hope that the High Priest, who must have spirit energy to survive, would starve to death. The High Priest managed to find a substitute energy in the souls of all those kidnapped from Hillys, and captures Pey'j and Double H to force Jade to submit to him. Using the stolen power within her, Jade is able to destroy the High Priest, though nearly losing control of her soul in the process, and then revives and rescues those that have been abducted. In a post-credits scene back on Hillys, a DomZ spore grows on Pey'j's hand as the screen fades to black. Beyond Good & Evil was developed by Michel Ancel, the creator of the Rayman video game, at Ubisoft's Pictures studio in France. The game was developed under the codename "Project BG&E", with production lasting more than three years. A group of 30 employees composed the development team. Ubisoft's chief executive officer, Yves Guillemot, fully supported the project and frequently met with the team. After years working on Rayman, Ancel wanted to move on to something different. He recalled that the goal of Beyond Good & Evil was to "pack a whole universe onto a single CD—mountains, planets, towns. The idea was to make the player feel like an explorer, with a sense of absolute freedom." A second goal behind Beyond Good & Evil's design was to create a meaningful story amid player freedom. Ancel said that the linear nature of the gameplay was necessary to convey the story; player freedom was an experience between parts of the plot. He also strove to create a rhythm similar to a movie to engage and delight players. The game drew on many influences and inspirations, including the Miyazaki universe, politics and the media, and the aftermath of the September 11 attacks. In creating the lead character, Ancel's wife reportedly inspired the designer, who wanted to portray a persona with whom players could identify. Beyond Good & Evil was first shown publicly at the 2002 Electronic Entertainment Expo, where it received a negative reception. Originally more "artistically ambitious" and resembling games like Ico, the game was substantially changed in order to make it more commercially appealing. Jade, originally a teenage girl, was redesigned to be more powerful and befitting of her job. The game was also shortened by removing long periods of exploration, due to Ancel's dislike of this aspect of gameplay in The Legend of Zelda: The Wind Waker. The development team was "demoralized" by the changes, with Ancel commenting that the finished game resembled a sequel more than a reworking. Prior to release, playable previews of the game were offered in movie theaters. The soundtrack of Beyond Good & Evil was composed by Christophe Héral, who was hired by Ancel because of his background in film. Hubert Chevillard, a director with whom Ancel had worked in the past, had also worked with Héral on a television special, The Pantin Pirouette, and referred him to Ancel. Héral was assisted by Laetitia Pansanel, who orchestrated the pieces, and his brother Patrice Héral, who performed some of the sound effects and singing. The soundtrack incorporates a wide variety of languages and instruments from around the world. Mainly Bulgarian lyrics were chosen for the song "Propaganda", which plays in the game's Akuda Bar, to allude to the Soviet propaganda of the Cold War. It uses a recording of a telephone conversation by Héral with a female Bulgarian friend to represent the government's control of the media. It also incorporates Arabic string instruments and Indian percussion. A song called "Funky Mullah" was originally planned for the Akuda Bar, but it was replaced by "Propaganda" because Héral decided that its muezzin vocals, recorded on September 8, 2001, would have been in bad taste in the wake of the September 11 attacks. "Fun and Mini-games", a song that plays during hovercraft races and other minigames, includes Spanish lyrics. The lyrics for DomZ music were created from a fictional language with prominent rolling "r" sounds. The crashing metal sound effects of "Metal Gear DomZ", the music played during a boss fight, were recorded from the son of Héral's neighbor playing with scrap metal. The voices in the city of Hillys were also recorded by Héral himself. The music has never been published as an album, though it has been released in its entirety as a free download by Ubisoft. The soundtrack is featured in the Video Games Live international concert tour. A full HD re-mastered version of the game was developed by Ubisoft Shanghai, released on Xbox Live Arcade in March 2011 and on PlayStation Network in June 2011. It features improved character models and textures, as well as a modified soundtrack. Achievements, trophies and online leaderboards were also added. The HD edition was made backwards compatible on the Xbox One and available free to Gold members from August 16, 2016 through September 1, 2016 as part of the Games with Gold programme. Ubisoft released Beyond Good & Evil HD for retail in Europe on September 21, 2012. The retail package includes Beyond Good & Evil HD, Outland and From Dust. Prior to its release, Official U.S. PlayStation Magazine and PlayStation Magazine praised the game's showing at the 2003 Electronic Entertainment Expo and described it as one of the best titles on display. Beyond Good & Evil received generally positive reviews from critics. Aggregating review website Metacritic gave the Xbox version 87/100, the GameCube version 87/100, the PlayStation 2 version 86/100, the Xbox 360 version 84/100, the PlayStation 3 version 83/100 and the PC version 83/100. The game's graphics were generally well received. In reviewing the GameCube version, Game Informer wrote that "Every moment of Beyond Good & Evil looks as good as a traditional RPG cutscene" and that the game's effects and character animations were "amazing." On the other hand, Jon Hicks of PC Format wrote that while some effects were excellent, the game's otherwise unspectacular graphics were unwelcome reminders of the game's console roots. 1UP.com and Official U.S. PlayStation Magazine cited glitches such as frame rate as irksome, because the game did not appear to tax the console's hardware. From this day forth, Michel Ancel is no longer 'the creator of Rayman'. From now on, he is 'the genius that brought us Beyond Good & Evil' [...] Cast out amongst a slew of Christmas blockbusters, BG&E rises above them all and leaves an indelible impression. Edge commended the game for its storytelling and design, but criticized its plot as unable to "match Jade's initial appeal," becoming "fairly mundane" without "the darkness and moral ambiguity suggested by the title," with Jade's everyman appeal undermined by the revelation of her "mysterious hidden identity." Dan Toose of SMH called the game's setting "dark, baroque and earthy, a far cry from the squeaky-clean action of the Final Fantasy games," and described the game as "a very European take on the role-playing genre" and "one of the best adventure games in years." Star Dingo of GamePro commented that the game was a "jack of all trades, master of none" that "never really lives up to its title," adding that its vision could have been more focused. Among complaints were control issues and a lack of gameplay depth. Game Informer's Lisa Mason wrote that the game's controls were serviceable, but simplistic, and that she wished she could do more with the character. PC Gamer's Kevin Rice found most of the gameplay and its exploration refreshing, but called hovercraft races "not much fun" and felt combat was the game's weakest element. Edge called the gameplay interaction "hollowed out," as an unintended consequence of Ancel's attempt to streamline the game. Beyond Good & Evil was not a commercial success. The game saw poor sales upon its release in the 2003 Christmas and holiday season. Retailers quickly decreased the price by up to 80 percent. Official U.S. PlayStation Magazine staff attributed the poor sales of the game—among many other 2003 releases—to an over-saturated market, and labeled Beyond Good & Evil as a commercial "disappointment". In retrospect, Ancel noted that consumers at the time were interested in established franchises and technologically impressive games. Coupled with the number of "big titles" available, he stated that the market was a poor environment for Beyond Good & Evil and that it would take time to be appreciated. The Official U.S. PlayStation Magazine staff further commented that the lack of marketing from Ubisoft and the game's odd premise naturally reserved it to obscurity. Part of the disappointing sales stemmed from Ubisoft not knowing how to market the title, something that Ubisoft North America CEO Laurent Detoc labeled as one of his worst business decisions. At the time, Ubisoft's marketing efforts were more focused on the release of Prince of Persia: The Sands of Time. Ubisoft's former North American vice-president of publishing, Jay Cohen, and its European managing director, Alaine Corre, attributed the commercial failure of the game to a lack of marketing. "The game play was there, the technical excellence was there but perhaps the target audience was not there," Corre told the BBC. Corre later commented that the Xbox 360 release (in 2011) "did extremely well", but considered this success "too late" to make a difference in the game's poor sales. The game was intended to be the first part of a trilogy, but its poor sales placed those plans on hold at the time. Beyond Good & Evil was nominated for and won many gaming awards. The International Game Developers Association nominated the title for three honors at the 2004 Game Developers Choice Awards: "Game of the Year", "Original Game Character of the Year" (Jade) and "Excellence in Game Design". Ubisoft titles garnered six of eleven awards at the 2004 IMAGINA Festival in France, with Beyond Good & Evil winning "Best Writer" and "Game of the Year Team Award." The Academy of Interactive Arts & Sciences nominated the game for "Outstanding Achievement in Character or Story Development" at the 2004 Interactive Achievement Awards. In IGN's "The Best of 2003", the PlayStation 2 (PS2) version won "Best Adventure Game," while the GameCube version received "Best Story." Beyond Good & Evil's audio was also recognized. The game was nominated for the "Audio of the Year", "Music of the Year", "Best Interactive Score", and "Best Sound Design" awards at the second annual Game Audio Network Guild awards. It was similarly nominated for the "Outstanding Achievement in Original Music Composition" and "Outstanding Achievement in Sound Design" awards at the 2004 Interactive Achievement Awards. At the 3rd Annual National Academy of Video Game Trade Reviewers Awards, the game was nominated for the following categories: "Game Design"; "Original Adventure Game"; "Control Design", winning 2 ("Game Design" and "Original Adventure Game"). In 2007, Beyond Good & Evil was named 22nd-best Xbox game and 12th-best GameCube game of all time by IGN. Game Informer listed the title 12th on its "Top 25 GameCube Games" list. In another list, "Top 200 Games of all Time", Game Informer placed the PS2, Xbox, and GameCube versions of Beyond Good & Evil as the 200th best. The Official Nintendo Magazine ranked it as the 91st-best Nintendo game, while Nintendo Power ranked it 29th. Nintendo Power placed the GameCube version as the 11th-best GameCube game of all time in its 20th anniversary issue. Destructoid ranked the GameCube, PlayStation 2, and Xbox versions as the 6th-best game of the decade. In 2010, IGN listed it at #34 in their "Top 100 PlayStation 2 Games". GamesRadar placed it as the 70th best game of all time. Ancel stated his desire to produce a sequel to the game. Ubisoft announced at the Ubidays 2008 opening conference that there would be a second game. A sequel, tentatively titled Beyond Good and Evil 2, is currently in development, although the project was temporarily halted to focus on Rayman Origins. Michel Ancel has hinted that Jade would have a new look for the game. In early 2016, Destructoid published a rumor that the game was being funded by Nintendo as an exclusive to their upcoming console codenamed "NX". On September 27, 2016, Michel Ancel posted an image to Instagram with the caption "Somewhere in system 4 ... - Thanks #ubisoft for making this possible !". On October 4, Ancel stated that Beyond Good and Evil 2 was in pre-production. Ubisoft confirmed Ancel's claim on October 6, 2016. ^ "Ubisoft Milan". Facebook. Retrieved October 6, 2014. ^ a b c "Connect: Going Beyond Good & Evil". Game Informer. GameStop (184): 20. August 2008. ^ a b c d e Gerstmann, Jeff (November 25, 2003). "Beyond Good & Evil Review (PC)". GameSpot. CBS Interactive. Archived from the original on March 14, 2004. Retrieved December 16, 2009. ^ Beyond Good & Evil Instruction Manual (PC version). Ubisoft. 2003. pp. 7–8. Retrieved 2015-07-02. ^ a b c d e Adams, David (November 11, 2003). "Beyond Good & Evil — PC review at IGN". IGN. Ziff Davis. p. 1. Archived from the original on April 11, 2004. Retrieved March 15, 2010. ^ Beyond Good & Evil Instruction Manual (PC version). Ubisoft. 2003. p. 12. Retrieved 2015-07-02. ^ Beyond Good & Evil Manual (Gamecube). Ubisoft. p. 16. ^ Beyond Good & Evil Manual (Gamecube). Ubisoft. p. 19. ^ "E3 2003: Beyond Good and Evil". IGN. Ziff Davis Media. May 14, 2003. Retrieved July 19, 2013. ^ Edge Staff (September 29, 2009). "Time Extend: Beyond Good & Evil". Edge Online. p. 2. Archived from the original on June 18, 2013. Retrieved September 2, 2013. ^ Beyond Good & Evil Instruction Manual (PC version). Ubisoft. 2003. p. 13. Retrieved 2015-07-02. ^ a b Torres, Ricardo (November 6, 2003). "Beyond Good and Evil Updated Preview". GameSpot. CBS Interactive. Archived from the original on June 5, 2015. Retrieved June 5, 2015. ^ a b c Edge Staff (October 5, 2009). "Time Extend: Beyond Good & Evil". Edge Online. p. 1. Archived from the original on May 9, 2012. Retrieved March 16, 2010. ^ Nowak, Pete (2004-02-20). "Beyond Good & Evil". The Globe and Mail. ^ a b c IGN Staff (May 24, 2002). "E3 2002: Project BG&E Interview". IGN. Archived from the original on November 8, 2012. Retrieved June 5, 2015. ^ Satterfield, Shane (May 23, 2002). "E3 2002: Project BG&E hands-on". GameSpot. CBS Interactive). Archived from the original on April 7, 2004. ^ a b c d e f Bertz, Matt (December 6, 2011). "Ubi Uncensored: The History Of Ubisoft By The People Who Wrote It". Game Informer. p. 5. Archived from the original on June 5, 2015. Retrieved January 3, 2012. ^ a b Turner, Benjamin (September 17, 2003). "Michel Ancel: Beyond Rayman". GameSpy. Archived from the original on September 8, 2004. Retrieved April 6, 2010. ^ a b "Beyond Good & Evil Hands On". Official U.S. PlayStation Magazine. Future Publishing (71): 65. August 2003. ^ Purchese, Robert (April 3, 2009). "BG&E2 inspired by September 11". Eurogamer. Archived from the original on January 30, 2015. Retrieved April 6, 2010. ^ Flower, Zoe (January 9, 2005). "Getting the Girl". 1UP.com. p. 2. Archived from the original on July 20, 2012. Retrieved June 5, 2015. ^ Totilo, Stephen (October 3, 2006). "GameFile: Peter Jackson's Mission; Big-Screen 'Gears Of War' And More". MTV.com. Retrieved June 5, 2015. ^ a b "Christophe Héral Interview" (in French). Beyond Good & Evil Myth. Archived from the original on November 1, 2014. Retrieved November 6, 2009. ^ "Beyond Good & Evil soundtrack". Snarfed.org. January 1, 2003. Archived from the original on March 19, 2015. Retrieved July 1, 2009. ^ "Video Games Live". Video Games Live. Archived from the original on February 24, 2015. Retrieved June 5, 2015. ^ Varanini, Giancarlo (September 30, 2010). "Beyond Good and Evil HD Hands-On". GameSpot. CBS Interactive. Archived from the original on March 22, 2014. Retrieved June 5, 2015. ^ McWhertor, Michael (February 8, 2011). "Xbox Live Arcade's House Party Priced & Dated". Kotaku. Gawker Media. Archived from the original on July 1, 2012. Retrieved June 5, 2015. ^ Makuch, Eddie (June 2, 2011). "Beyond Good & Evil HD hits PSN June 8". Gamespot. CBS Interactive. Archived from the original on March 23, 2014. Retrieved June 5, 2015. ^ "Beyond Good & Evil HD Coming Next Year". IGN. Ziff Davis. September 30, 2010. Archived from the original on March 21, 2015. Retrieved June 5, 2015. ^ Matulef, Heffret (June 20, 2012). "Beyond Good & Evil HD, Outland and From Dust bundled for retail". Eurogamer. Archived from the original on May 11, 2013. Retrieved May 11, 2013. ^ a b "Beyond Good & Evil for Xbox Reviews". Metacritic. CBS Interactive. Retrieved January 31, 2013. ^ a b "Beyond Good & Evil for GameCube Reviews". Metacritic. CBS Interactive. Retrieved January 31, 2013. ^ a b "Beyond Good & Evil for PlayStation 2 Reviews". Metacritic. CBS Interactive. Retrieved January 31, 2013. ^ a b "Beyond Good & Evil HD for Xbox 360 Reviews". Metacritic. CBS Interactive. Retrieved January 31, 2013. ^ a b "Beyond Good & Evil HD for PlayStation 3 Reviews". Metacritic. CBS Interactive. Retrieved January 31, 2013. ^ a b "Beyond Good & Evil for PC Reviews". Metacritic. CBS Interactive. Retrieved January 31, 2013. ^ Gerstmann, Jeff (November 13, 2003). "Beyond Good & Evil Review (PS2)". GameSpot. CBS Interactive. Archived from the original on February 18, 2004. Retrieved December 16, 2009. ^ Gerstmann, Jeff (November 13, 2003). "Beyond Good & Evil Review (Xbox)". GameSpot. CBS Interactive. Archived from the original on February 4, 2004. Retrieved December 16, 2009. ^ Gerstmann, Jeff (December 3, 2003). "Beyond Good & Evil Review (GC)". GameSpot. CBS Interactive. Archived from the original on January 14, 2004. Retrieved December 16, 2009. ^ Turner, Benjamin (December 19, 2003). "Beyond Good & Evil (PS2)". GameSpy. p. 1. Archived from the original on June 4, 2004. Retrieved March 20, 2010. ^ Rausch, Allen (December 13, 2003). "Beyond Good & Evil (PC)". GameSpy. p. 1. Archived from the original on June 4, 2004. Retrieved March 20, 2010. ^ Turner, Benjamin (December 19, 2003). "Beyond Good & Evil (Xbox)". GameSpy. p. 1. Archived from the original on June 3, 2004. Retrieved March 20, 2010. ^ Turner, Benjamin (December 19, 2003). "Beyond Good & Evil (GC)". GameSpy. p. 1. Archived from the original on June 3, 2004. Retrieved March 20, 2010. ^ Adams, David (November 11, 2003). "Beyond Good & Evil — PlayStation 2 review at IGN". IGN. p. 1. Archived from the original on April 16, 2004. Retrieved March 24, 2010. ^ Adams, David (November 11, 2003). "Beyond Good & Evil — Xbox review at IGN". IGN. p. 1. Archived from the original on June 3, 2004. Retrieved March 24, 2010. ^ Adams, David (November 11, 2003). "Beyond Good & Evil — GameCube review at IGN". IGN. p. 1. Archived from the original on April 3, 2004. Retrieved March 24, 2010. ^ Kolan, Patrick (March 2, 2011). "Beyond Good & Evil HD Review". IGN. p. 1. Archived from the original on July 26, 2013. Retrieved April 2, 2011. ^ "E3 2003". PlayStation Magazine. Future Publishing (74): 48. August 2003. ^ "Beyond the Norm". Game Informer. Archived from the original on October 12, 2007. Retrieved April 29, 2010. ^ Hicks, Jon (2004). "Beyond Good and Evil". PC Format. Archived from the original on February 6, 2008. Retrieved May 3, 2010. ^ Staff. "Beyond Good and Evil (PS2) Reviews; Beyond good gameplay, with some really evil glitches". 1UP.com. Archived from the original on January 29, 2016. Retrieved January 20, 2010. ^ Steinman, Gary (November 4, 2003). "Beyond Good and Evil (PS2)". Official U.S. PlayStation Magazine. Archived from the original on December 31, 2003. Retrieved May 3, 2010. ^ Bramwell, Tom (November 23, 2003). "Beyond Good & Evil". Eurogamer. Archived from the original on October 2, 2012. Retrieved March 18, 2010. ^ Toose, Dan (December 6, 2003). "Die Hard". Sydney Morning Herald. Archived from the original on November 5, 2012. Retrieved March 19, 2010. ^ Dingo, Star (November 12, 2003). "Beyond Good and Evil". GamePro. Archived from the original on December 2, 2009. Retrieved March 20, 2010. ^ Mason, Lisa. "Beyond Good and Evil". Game Informer. Archived from the original on December 14, 2007. Retrieved May 3, 2010. ^ Rice, Kevin. "PC Gamer: Beyond Good & Evil". PC Gamer. Archived from the original on February 3, 2008. Retrieved April 29, 2010. ^ a b c "Spin: Bad Timing". Official U.S. PlayStation Magazine. Ziff Davis (78): 30–31. March 2004. ^ IGN AU Staff (February 19, 2009). "Beyond Good & Evil 2: What to Expect". IGN. Ziff Davis. p. 1. Archived from the original on February 20, 2009. Retrieved May 8, 2010. ^ Detoc, Laurent (August 23, 2005). "Executive Profile". San Francisco Business Times. Archived from the original on November 20, 2009. Retrieved December 4, 2009. ^ Feldman, Curt (May 11, 2004). "Q&A: Ubisoft's Jay Cohen". GameSpot. CBS Interactive. Archived from the original on October 20, 2007. Retrieved November 8, 2009. ^ Waters, Darren (June 14, 2004). "Game firms urged to take risks". BBC. Archived from the original on November 15, 2005. Retrieved March 15, 2010. ^ a b Bramwell, Tom (August 23, 2005). "It would be 'good to finish' BG&E — Michel Ancel". Eurogamer. Archived from the original on December 19, 2013. Retrieved December 29, 2009. ^ Jenkins, David (February 25, 2004). "IGDA Announces Nomineses; More Award Winners". Gamasutra. UBM TechWeb. Archived from the original on November 14, 2013. Retrieved December 29, 2009. ^ Viscel, Mike (February 25, 2004). "Nominees for Game Developers Choice Awards". GameDaily. Archived from the original on September 6, 2008. Retrieved October 2, 2009. ^ "Ubisoft Rewarded For Their Creativity At The Imagina Festival". GameZone. February 11, 2004. Archived from the original on June 17, 2011. Retrieved October 2, 2009. ^ a b "AIAS Annual Awards > 7th Annual Awards". Academy of Interactive Arts & Sciences. Archived from the original on May 2, 2015. Retrieved January 12, 2010. ^ IGN Staff. "IGN.com presents The Best of 2003 - Best Adventure Game (PS2)". IGN. Archived from the original on April 6, 2008. Retrieved 2010-12-20. ^ IGN Staff. "IGN.com presents The Best of 2003 - Best Story (GC)". IGN. Archived from the original on February 20, 2008. Retrieved 2010-12-20. ^ "Game Audio Network Guild Announces 2nd Annual G.A.N.G Awards/Nominees". Music4Games. Archived from the original on 2005-12-17. Retrieved 2010-03-23. ^ Perry, Douglass C.; Brudvig, Erik; Miller, Jonathan (March 16, 2007). "The Top 25 Xbox Games of All Time". IGN. Ziff Davis. p. 1. Archived from the original on March 15, 2007. Retrieved June 8, 2015. ^ IGN GameCube Team (March 16, 2007). "The Top 25 GameCube Games of All Time". IGN. Ziff Davis. p. 3. Archived from the original on March 25, 2007. Retrieved June 8, 2015. ^ "Classic GI: Top 25 GameCube Games". Game Informer. GameStop (189): 85. January 2009. ^ Game Informer Staff (2009). "The Top 200 Games of all Time". Game Informer (200): 79. ^ "100 Best Nintendo Games: Part One". Future Publishing. February 17, 2009. Archived from the original on February 23, 2009. Retrieved March 22, 2010. ^ Nintendo Power Staff (February 2006). "NP Top 200". Nintendo Power. Future Publishing (200): 60. ^ Nintendo Power Staff (August 2008). "Best of the Best". Nintendo Power (231): 76. ^ Concelmo, Chad (December 4, 2009). "The Top 50 Videogames of the Decade (#10-1)". Destructoid. Archived from the original on November 28, 2014. Retrieved March 16, 2010. ^ "Top 100 PlayStation 2 Games". IGN. Ziff Davis. Retrieved June 8, 2015. ^ GamesRadar US & UK (March 31, 2011). "The 100 best games of all time". Future Publishing. p. 4. Archived from the original on August 9, 2011. Retrieved April 2, 2011. ^ Ransom-Wiley, James (May 28, 2008). "Beyond Good & Evil 2 revealed at Ubidays 2008". Joystiq. Archived from the original on May 29, 2008. Retrieved January 10, 2007. ^ Hindes, Daniel (April 14, 2014). "Beyond Good and Evil 2 director teases new look for Jade". GameSpot. CBS Interactive. Archived from the original on April 15, 2014. Retrieved June 8, 2015. ^ "Rumor: Nintendo funding Beyond Good and Evil sequel". March 3, 2016. Retrieved June 17, 2017. ^ Matulef, Jeffrey (2016-10-06). "Beyond Good & Evil 2 is almost definitely in development". Eurogamer. Retrieved 2016-10-13. This page was last edited on 15 February 2019, at 20:17 (UTC).